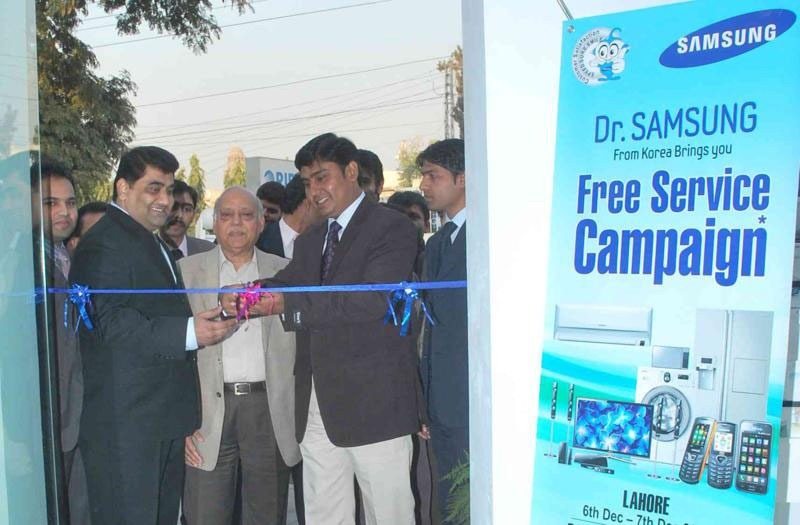 Mr. Shaikh Abdul Hai, Service Representative Samsung Electronics, Mr. Inam Ul Haq, National Manager Customer Support, Mr. Asif Javed – Senior Manager and Mr. Arslan Amjad, Assistant Manager Customer Support Inaugurating the Samsung Mobile Service Centre in Rawalpindi. I like Samsung mobiles. I just have purchased it’s dual sim model. It’s working fine. i have recently purchased s2 pin pak about two months ago but yestrdy i got problem when fone is turned on its just shows SAMSUNG S2…and device doesnt not turned onn…what is the problem??? samsung glaxsy Pop E220s .. i have to broken my mobile phone screen … is it repairable ?????????? How much it will cost to replace PANEL of Samsung Galaxy NOTE 2 mobile, please?? How much it will cost to replace PANEL of Samsung Galaxy A7 2016mobile, please? ?